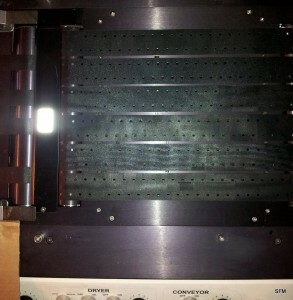 Looking for a Used Floor Model Addressing System? 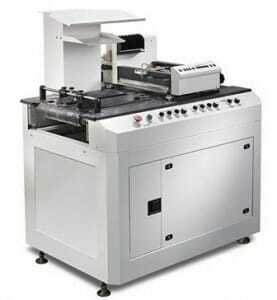 We have a Hasler HJ4600 aka Rena XPS Pro 3.0 Addressing System Available! It’s not very often that we get systems like this in, especially one that have been barely used, like this one. This base comes from the showroom floor of a dealer that closed it’s doors! 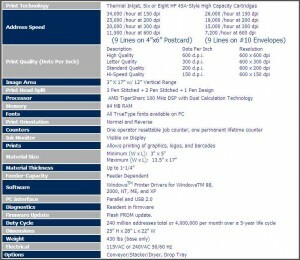 What makes the XPS Pro 3.0 – Hasler HJ4600 special!? It starts with the alignment table, with 4 re-positional transport belts that are easy to slide into alignment with your mail piece. 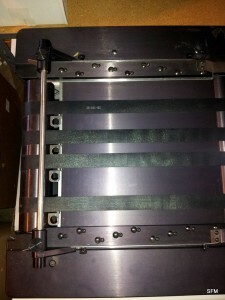 Next you have guide rails with bearings to make sure the mailers is perfectly straight, and hold down any corners that want to lift up before going into the print section. The next section of the Hasler HJ4600 aka Rena XPS Pro 3.0 Addressing System is the vacuum transport print section. Unlike most floor model bases the vacuum is not only down the middle but completely across the print section! So your mail piece is not only being sucked down from the middle but completely across the mail piece. Which keeps the sides from coming up and hitting the print heads, like you see on center vacuum systems. Best of all, when it’s time for an upgrade to a new system, you already have an excellent floor model base! You unbolt the print heads, and bolt a new system on. Worst case is you also need to replace the encoder and sensor. 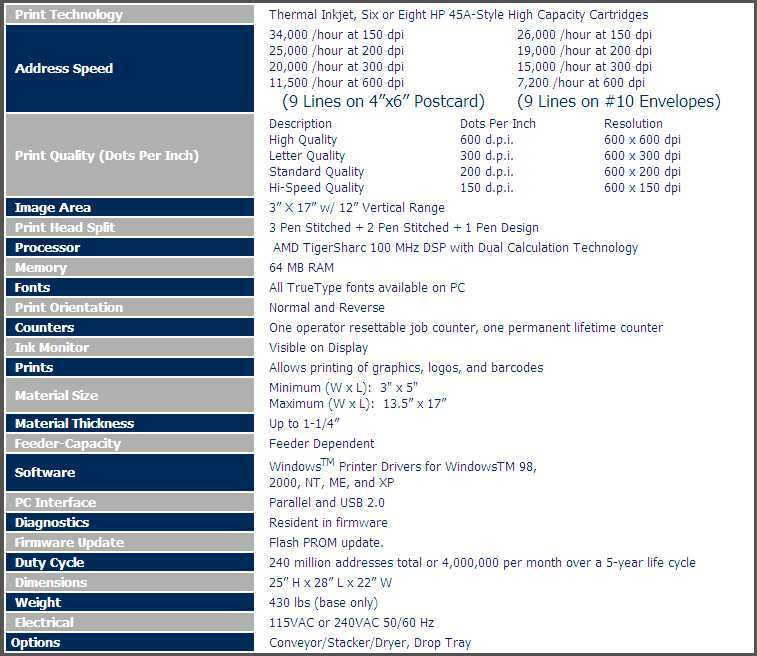 Need more information on the Hasler HJ4600 Floor Model Addressing System? Or want the Tabber or Dryer to go with it?